Former Massachusetts Governor Bill Weld has faced intense heat from members of the Libertarian Party since he ran alongside former New Mexico Governor Gary Johnson on the 2016 Libertarian Presidential ticket. However, as we enter the 2020 primary season, it is fully clear Weld is the best choice for the Presidency. He is the liberty-minded man that seeks to dethrone President Trump for the Republican nomination. On Sunday, America lost one of their most principled and honorable members of Congress with the passing of Walter Jones, the U.S. Representative of North Carolina’s 3rd Congressional District. According to Fox News, Jones had suffered a broken hip at his home on January 14th and underwent surgery at Vidant Medical Center in Greenville the following day, which was just one of a series of ailments that Jones had faced. The North Carolina politician first entered the cutthroat world of politics in 1983 after being elected as a representative of North Carolina at the state level, serving as a Democrat for the entirety of his tenure. After his father vacated his U.S. Congressional seat as a member of North Carolina’s 1st Congressional District in 1992, Jones decided to run for his father’s seat and did so successfully. While being a Democrat and serving his first term as so, he decided to switch his party affiliation to the Republican Party in 1994 and has remained a member of the party since. For around a decade, Jones worked like most people in Washington. He flew under the radar, for the most part, not garnering much national attention. He often served as the standard Republican member of Congress by commonly voting in line with his party as most members of Congress do. The practice of rarely breaking party line and staying away from even the slightest hints of contrarianism is popular in Congress as it increases your chances of being re-elected. That’s why, just about every year, 90% or more of Congress gets re-elected. As long as you do your part and vote in line with your party on the most important issues, the party leadership will support your re-election bid and make the threat of a primary challenge extremely unlikely. It wasn’t until 2003 that Jones did something that garnered widespread mainstream media attention. Unless you know Walter’s path of getting where he is today, what he did may just surprise you. Walter was one of the biggest supporters of the Invasion of Iraq back in 2003. His passion for the war was so strong that when France announced their opposition to the United States’ involvement in Iraq, Walter, along with fellow House Republican Bob Ney of Ohio, led the charge to alter a couple names of food choices on the House Cafeteria menu. “French Fries” were to be changed to “Freedom Fries”; “French Toast” was changed to “Freedom Toast”. Yes, Jones’ first real moment of prominence after 10 years a Congress was when he became known as one of the Republicans who bootlicked for the Invasion of Iraq so much that he made his disapproval of France’s stance on the issue known by removing the word “French” from the House Cafeteria Menu. By the end of 2005, the number of American casualties had reached 2,181. It was around this time that Walter Jones drastically changed his views on Foreign Policy. He called on President Bush to withdraw from Iraq, stating he had “come to believe that there had been little reason to go to war, despite his earlier support, which had been based upon selective intelligence supplied to Congress.” Walter did something that we hardly ever see in politicians, and that is admitting that they are wrong. After coming to the realization of his past faults, he became one of the biggest non-interventionists in Congress, supporting peace every single chance he got and opposing war at all costs. Because of his heroism among anti-war activists, he earned the label “Champion of Peace” by fellow non-interventionist Congressman Ron Paul. In the years following his change of heart towards the Iraq War, Jones has signed over 12,000 letters to families and extended families who have lost loved ones in the Iraq and Afghanistan wars and has hung posters displaying the faces of the dead along the hallway leading to his congressional office in Washington D.C. “That was for me asking God to forgive me for my mistake,” Jones told the NPR in 2017. Of course, whenever Jones defied the Republican and neoconservative establishment by advocating for non-interventionism and going against their mainstream ideology, they did not take kindly to that. In both 2014 and 2016, Jones a faced primary opponent who benefited from having received millions from neoconservatives, most notably Bill Kristol, who despised Walter for his foreign policy and didn’t think that he belonged in the modern day Republican Party. Even though his views didn’t exactly coincide with the majority of the Republican Party’s, he still managed to easily brush off his primary challengers both times from the hawkish right, with his constituents proving they wanted to keep their principled politician. This led to him being awarded another nickname from Ron Paul: The Neocon Slayer. Later on in his congressional career, following the changes in his foreign policy beliefs, he lived by a mindset that he felt his father had failed to follow. That mindset was doing what he believed was right even if it resulted in his career ending abruptly ending. He noted in a 2005 interview that he remembered the worst day of his father’s career was when he had to vote for a financial bailout of New York City in 1970, something his father personally opposed but had to vote for because of “political reasons”. In his later days, Walter ended up becoming so much more than what I previously described in this article: an unprincipled politician who really doesn’t have a person in Congress other than to be there as a yes-man. Walter ended up becoming something that is such a rare species. Some wonder if principled, honorable politicians are already extinct. The type of morality that Walter Jones displayed earns the amount of respect none of us are capable of giving. For that, he deserves to be recognized, honored, and never forgotten in our memories. “Render unto Caesar the things that are Caesar’s; and unto God the things that are God’s”, says Jesus in Matthew 22:21. For centuries, many Christians have used this famous verse as an argument to dutifully pay taxes. At first glance, it is quite compelling. After all, Jesus is answering the trick question of whether or not the Pharisees and Herodians should pay taxes. If he answers yes, he loses the support of the radical Pharisees, but if he says no, the more moderate Herodians would be wary and he may face arrest. Luckily, he is able to avoid both of these instances, calling out the Pharisees for their trap before answering. So, it already is clear that the line is much more ambiguous than many people claim. Had it been a simple yes, Jesus would have stated such, rather than blatantly refusing to do so and calling the questioners hypocrites. What Does It Mean to Be Caesar’s? Looking more closely at the verse and its context reveals an interesting question; how does one define what it means to be Caesar’s? Of course, anything that Caesar genuinely owned is his, but this is not the case of the Pharisees’ denarii. Before speaking the famous line, Jesus identifies Caesar’s face on a denarius. Clearly, though, someone’s face on an object does not necessarily denote the owner of that object. A sculptor can create a statue of Martin Luther King to place in Washington, but doing so does not suddenly void ownership of the statue to his living descendants. Similarly, a coinmaker pressing the face of Donald Trump onto a coin does not mean that the coin belongs to him. Ownership rests in the voluntary trade of money for a good or a service, not in an arbitrary face. In fact, Jesus is entirely correct in stating that everyone should give Caesar what is Caesar’s. The issue comes down to the fact that a subject’s money is not Caesar’s; it is the subject’s. Jesus frequently teaches to hold on loosely to earthly possessions, but this applies to all human beings and does not have a special exception for Caesar or any other figurehead. Though the above argument appears not to favor paying taxes, Christians often use Romans 13:1-7 as further evidence. These verses state that all should “be subject unto the higher powers. For there is no power but of God: the powers that be are ordained of God”. It later states that because of this, those who do good have nothing to fear, and all should pay tributes when they are due. Once more, the argument of whether or not tributes are legitimate calls into question the latter segment. But in particular, the first verse clearly does not apply to all governments. Throughout history, our world has been the home to some truly oppressive states. Nazi Germany killed over 11 million people in less than a decade during the Holocaust. The regime of Stalin was responsible for even more. Dictators throughout the world have brutally slaughtered a countless number of people; this is an indubitable fact. What would these Christians say about these repressive regimes? Do they act in the name of God, despite violating one of the Ten Commandments? The obvious answer to this question is a firm, resounding no. One cannot claim to be following the will of God while also following the will of an imperfect man who is making an order entirely contrary to God’s teachings. It’s a safe assumption to make that when the government directly tells you to violate one of the Ten Commandments, it is morally sound for a Christian to disobey that order. But just how often do these instances occur? Well, by virtue of what it means to be a government, more often than most may think. Even allegedly liberal democracies such as the United States kill civilians on a regular basis. The fact that these people are foreign, rather than citizens, makes no difference. Immediately, the government appears to violate three of the commandments. First of all, it kills both soldiers and civilians abroad. The Ten Commandments do not make the distinction of “Thou shall not kill, save in self-defense or war”. Rather, murder is recognized, as it should be, as a wicked act to avoid in all circumstances. Similarly, there is no clause in the commandments that allows the government to steal from you or covet your goods, even for seemingly good purposes. As a counterpoint, some may argue that Christians not paying taxes contradicts the idea of turning the other cheek. This point carries a great deal of weight but ultimately fails. It is true that Christians should not violently resist a tax collector or any other, as doing so would clearly not be turning the other cheek. However, peaceful disobedience does not fall into the same category; in fact, turning the other cheek itself is a form of this. Rather than being meek, Jesus suggests a tone of defiance when he turns his cheek. Likewise, it makes sense for Christians not to pay taxes to a government that will violate the commandments. Rather, they should turn the other cheek in defiance, neither violently protesting nor passively submitting. It is also worth mentioning that Romans 13:1-7 does not paint the whole picture of the law. Immediately after, Romans 13:8 reads: “Owe no man any thing, but to love one another: for he that loveth another hath fulfilled the law”. Clearly, this suggests that anyone who loves other people will fulfill the law. This stands in striking contradiction to the actions of most governments today. Though it is conceptually possible for one to operate entirely on the principles of love, this has never been the case and very well may never be. Currently, the United States is militarily involved in a number of other countries, imprisons hundreds of thousands of nonviolent people, and extorts the rest of the citizens to pay for these things. It appears that this is a clear violation of the law of God to love one another, and thus, any legitimacy to follow the government as an extension of God vanishes. An additional section of the Romans verse suggests that God instituted all of the governing authorities. From a moral standpoint, this already appears shaky, but it also denies the very existence of free will. Why does evil in the world exist, when God is omniscient, omnipotent, and omnibenevolent? The problem of evil has tormented theologists and philosophers alike for centuries, but Thomas Aquinas, among others, believed to have found a solution to this dilemma: free will. As the point goes, though God is perfect, he also instills free will in each person. The Bible also contains evidence to support this claim; Deuteronomy 30:19 teaches to “choose life, that both thou and thy seed may live”. Therefore, there is no way to guarantee that people will choose to act with goodness. Let’s now apply this to the concept of the state. How can people with free will always choose the right person that will follow the will of God? And, in a nondemocratic society, what is to prevent an evil ruler from forcibly taking power? Simply put, there is no guarantee here due to the idea of free will. Thus, it appears that a government may or may not follow God’s teachings. Without a doubt, Christians do not have a moral obligation to pay taxes to a state that defies their religion. Though a couple of Bible verses weakly attempt to suggest this, they either fail to present the whole story or rely on faulty assumptions. Ultimately, no government that defies what Jesus teaches is worthy of the respect or obedience of Christians, and in the course of history, not a single one has managed to do so. Dr. Jordan B. Peterson rose to prominence after a video of him defending free speech against the Canadian human rights bill C-16 surfaced online. This bill, among other things, would make it a crime to misgender a trans person. Dr. Peterson’s assertions in the original video were clear and admirable, but further, it was a direct deviation from the current common discourse. He was rocketed into public intellectual stardom after the episode at The University of Toronto; booking speaking event after guest lecture after television appearance. He was, and still very much is, the freshest philosopher in the free marketplace of ideas. However, with closer examination, it seems his transparency and edge are inconsistent in his current work. 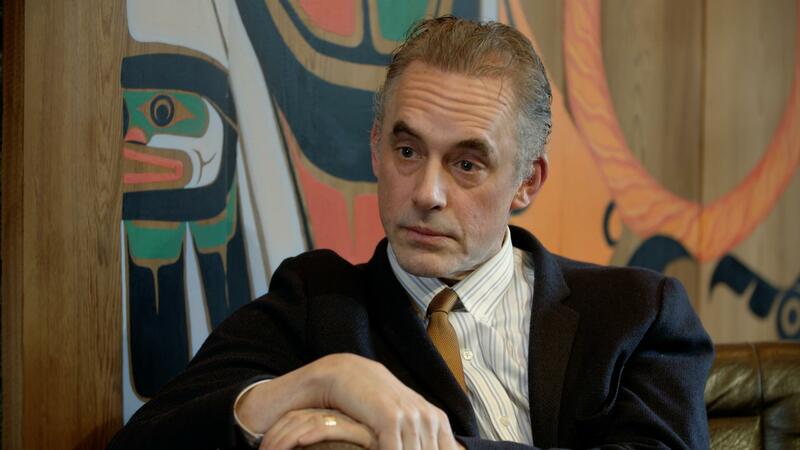 Specifically, in the now infamous Cathy Newman interview, Dr. Peterson jumped from hard-hitting clear claims about the nature of political correctness to vague and meaningless facts about lobster dominance hierarchies. Dr. Peterson’s constant metaphors involving lobsters are actually very important to the way he manipulates language. For instance, he might say something about how dominance hierarchies are inherent in human beings and then go on a tirade about shellfish serotonin levels. While both statements are correct, but they don’t inform each other in any relevant way. This is called a non sequitur and means “it does not follow” in Latin. When someone uses a non sequitur, the premises do not logically inform the conclusion, even though all parts of the argument may be correct. Even though it is true that humans naturally fall into hierarchies, and lobsters do have very similar endocrine systems to humans, those facts do nothing to prop each other up, or to prop up his point, which usually amounts the differences between men and women being biological rather than social. All of these declarations are technically correct according to everything we know about both human and lobster biology. However, neither of them does anything to prove whether or not there are actual differences between men and women beyond the social sphere. There is astounding evidence that he does frequently bring up to prove men and women, our masculine and feminine strengths and weaknesses, are biological. But he very rarely brings them up alongside that specific issue. Instead, he uses them in conversations surrounding crime and antisocial behavior. When these facts, however rarely, are brought up in the context of the conversation they actually belong in, they are cheapened and sandwiched between lobster-talk and dominance hierarchies. This is actually a spin-off of a well-known debate technique called Gish Galloping, where a debater will try and overwhelm their opponents with as many arguments as possible in the shortest time possible. Dr. Peterson tweaks this idea. Instead of overwhelming his opponent with a lot of arguments all at once, he opens into an explanation of something that has very little to do with his real point in hopes that his opponent won’t bother to address it. The truth is, lobsters have nothing to do masculinity or femininity. But that sort of niche diatribe does impress people even though, critically, it carries no real value. Redefining words is not always such a slimy debate strategy. In many instances, it can be very helpful in coming to a conclusion about rather nebulous words such as “good”, “evil”, or even “god” in order to further some sort of discourse and continue the conversation. Dr. Peterson’s redefinition of religion, though, is all-encompassing by design. This basically boils down to an equivocation fallacy. Dr. Peterson’s definition of religion is clearly not the same as the average religious person’s definition. Therefore, it’s meaningless within any conversation about its impact. This is not to say that Dr. Jordan B. Peterson is not intelligent, that he doesn’t have anything important to say, or that his philosophies outlined in 12 Rules for Life are immoral or fundamentally wrong. This is to say that not all of his proclamations are valid and we shouldn’t ignore his metaphorical talk-arounds of legitimate criticism. It is fine, even good, to admire Jordan Peterson. It is intellectually dishonest, however, to pretend he is flawless or doesn’t use manipulative language. In doing so, he makes himself seem more intelligent and convinces good-hearted people of positions with little merit. In a shocking new development in California Sunday afternoon, Governor Gavin Newsom signed a law that would ban martial artists from becoming black belts. The measure passed through state legislature easily after the murder of an innocent man at the hands of a karate black belt. Three weeks ago, 35-year-old dojo owner Jason Shreve was walking home from work when a masked man attacked him with a knife. In defense, he disarmed and broke the leg of the man, who died that night from hypothermia. One state senator called the act “inexcusable”, pointing to a recent rise in attacks by martial artists and comparing it to gun violence. “You simply don’t see this pattern in other developed countries”, asserted Toni Atkins, the state’s Senate President pro Tempore. “And in those countries, people aren’t allowed to just turn themselves into military-grade weapons. This measure will certainly help to keep citizens of California safe”. The bill, which goes into effect March 1st, makes it a felony to knowingly promote a karate student to the rank of black belt or higher. Existing black belts may keep their positions, but may not advance in degree. Dojo owners in violation of the law will face a minimum fine of $100,000 and up to three years in prison. Black belts caught seeking training will also face a smaller fine of $5,000 for the first offense. Additionally, it outlines severe penalties for practicing self-defense techniques in the real world. Lower ranks may continue to practice only in registered dojos. Anyone learning or teaching martial arts beyond a state-recognized location may face up to a year’s imprisonment. Black belts doing the same may also be subject to treason charges. The bill makes it clear that the government provides security for its citizens; therefore, the only reason people would need to turn themselves into weapons is to use themselves against the state. In efforts to pacify martial artists in the state, California will be voluntarily buying back all black belts from March 1st to June 1st. Compensation will vary depending on the age of the belt and what school it came from. However, lawmakers warn that any citizen hoping to pass off their normal black belt for a martial arts black belt will face stiff penalties. Proponents of the law have pointed out how easy it is to begin martial arts training in America. Brown has previously noted that “it’s easier to begin the road to a black belt than it is to get birth control. You can just walk into a dojo and sign a form; the next thing you know, they’re converting your body into a deadly weapon. This practice is not American and does not represent the values we preach in California. I hope other states can follow our lead and bring this country out of the dark”. All in all, the state legislature echoed Brown’s sentiment. They believe that the new measure will help to deter violence. Despite this, minority rights groups believe that the new law will unfairly affect minority colors. “The government is clearly banning black belts while allowing white belts to still train”, remarked minority rights activist from the group Black Belts Matter. “I thought that we had abandoned these policies 50 years ago, but it appears discrimination in America is still rampant”. Currently, seven other states require all martial artists to register themselves with authorities as lethal weapons. This move is unique thus far to the Golden State. However, the United Kingdom recently passed a similar measure that strictly outlawed all martial arts in formal dojos. Concealed Carry vs. Open Carry: Which is Better?